So many of my friends and other people that I know (mainly friends who used to be friends but aren’t friends anymore) started their second term at university almost a month ago. However, I just properly started last week. Do I feel like a little bit of a slacker? Maybe just a tad. 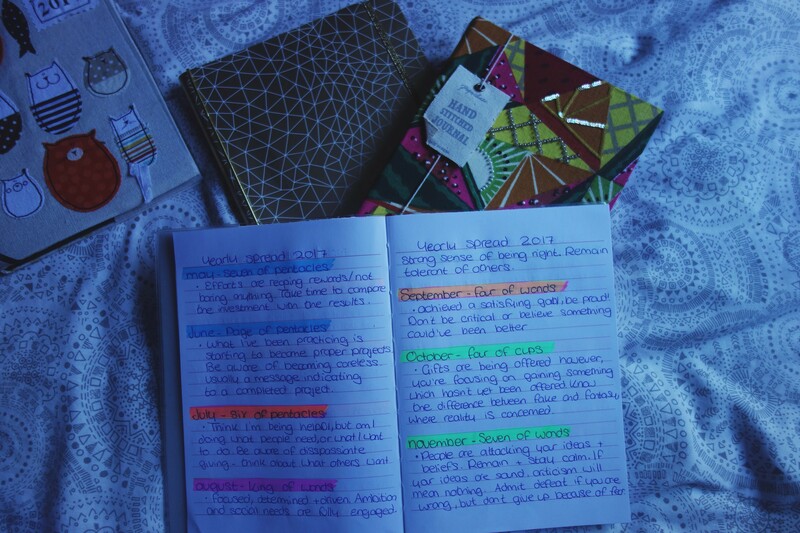 Since I’m starting up uni again, beginning new topics and preparing my brain to be filled with information I never dreamed of knowing, I desperately needed something to write it all down in. 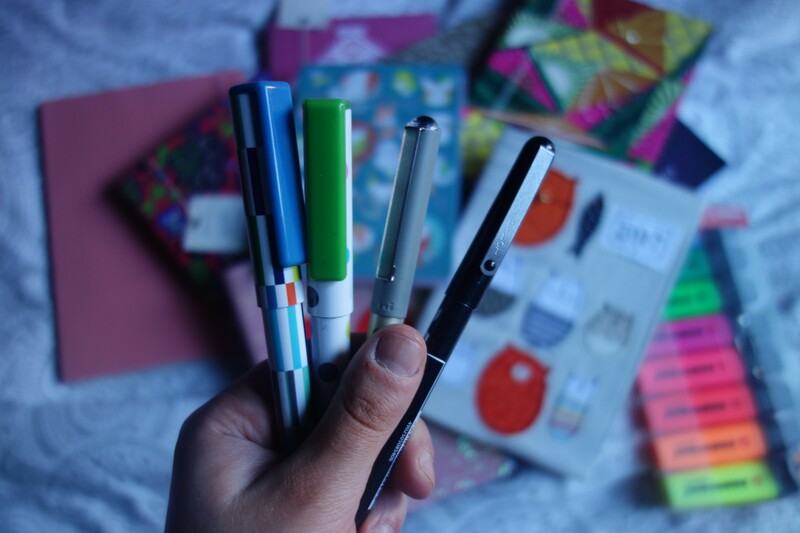 Motivation to go to university = purchasing new stationery from Paperchase… Right? 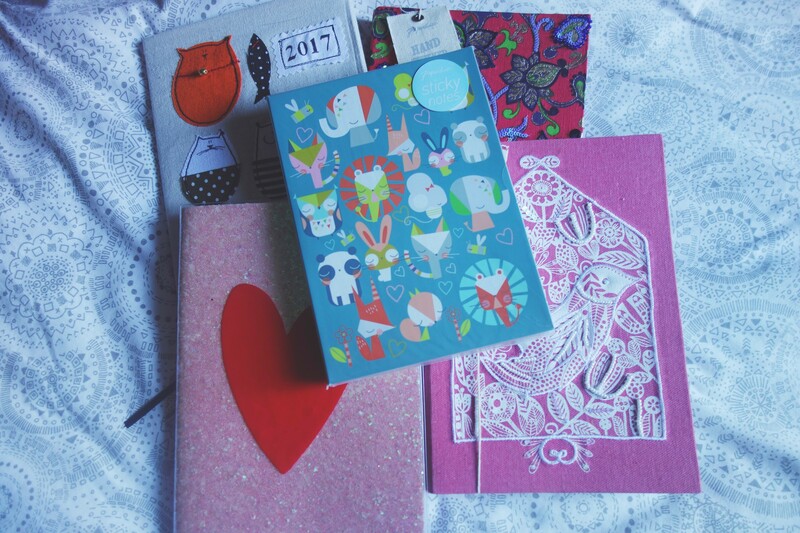 First on the list were notebooks, and I accidently on purpose bought six. 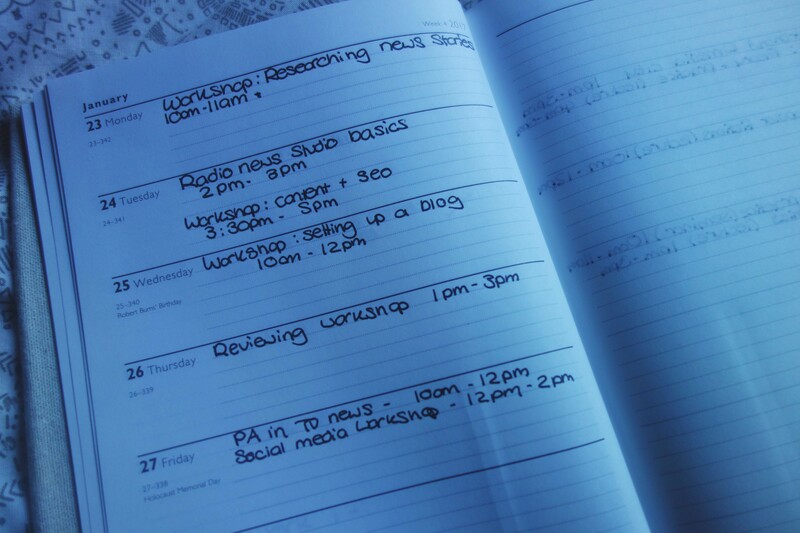 I study a combined honours course, which means I study two subjects instead of one. I therefore, study the likes of shorthand at the same time I am analysing Bridget Jones’ Diary and a Pukka Pad is definitely not vast enough for that subject diversity. This was me convincing myself I needed six notebooks, so I could have one for every subject I was taking. Three of the six notebooks I picked up were the same large, handcrafted books in a ruled A5 size. 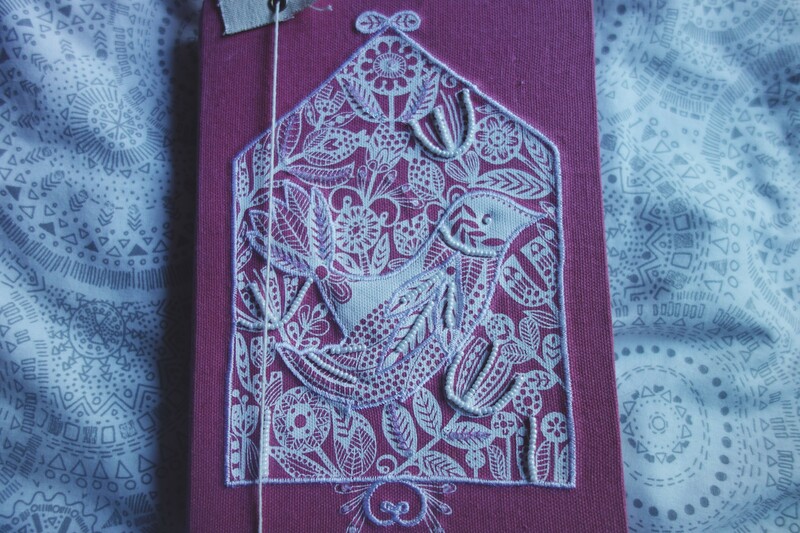 The first of the trilogy was in a beautiful dark pink, with white embossed embroidery, featuring little beads and a plush bird. So cute and pretty, perfect for jotting notes down on the pages. 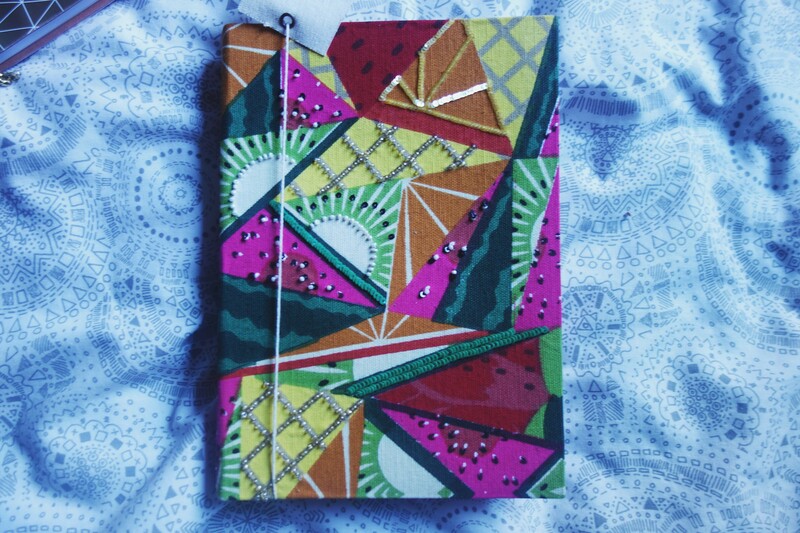 The second, following the chunky 3D effect is a fruit cocktail notebook. Adorned with tiny beads, making up the watermelon seeds and the rough pineapple face, the cover features these two fruits, along with geometric, abstract kiwi fruits and oranges. Bursting with pinks, greens and yellows, the notebook is great for healthy eating motivation as I tuck into my biscuits at the back of the lecture theatre. You win some, you lose some, but at least my stationary collection is looking a bit brighter than my future right now. 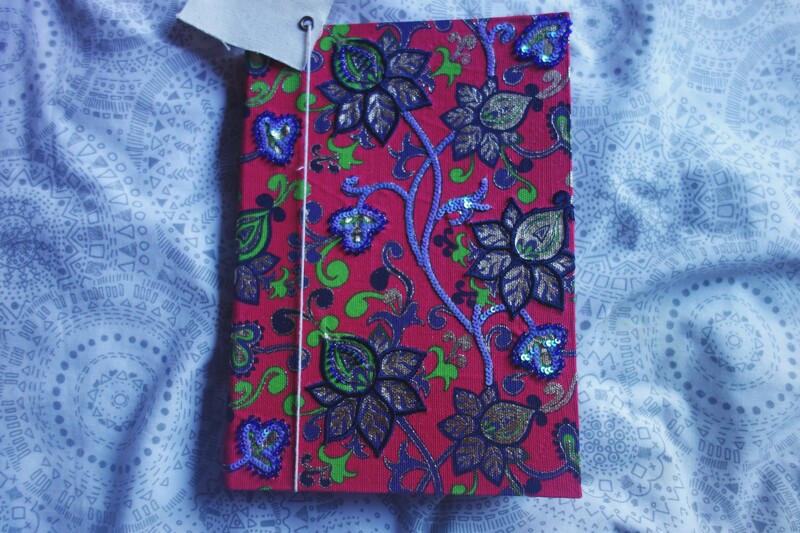 Third and finally in the pack is an alternative, floral notebook. The muted pinks, light greens and dark blues allow the vibrant violet stems of the abstract flowers to stand out on the cover. 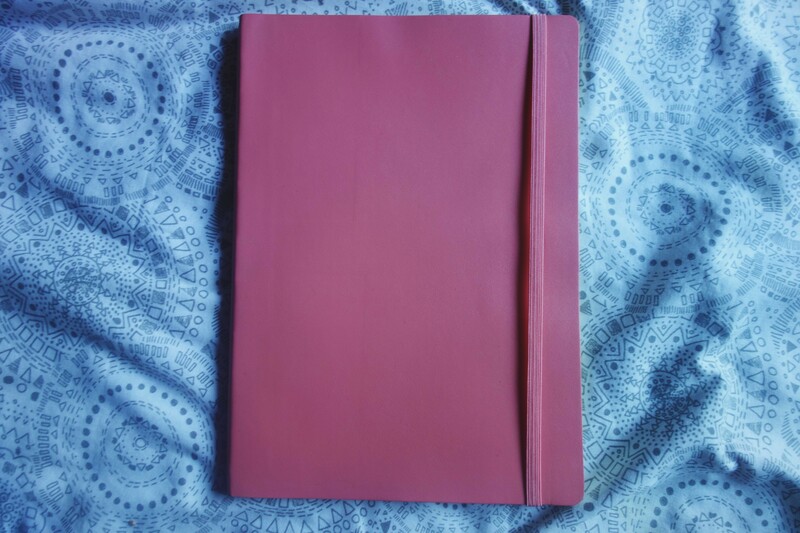 I wanted something that wasn’t as in-your-face feminine as the first, baby pink notebook, but still wanted something that I would pull out my bag and be like “Oh this is so nice, why am I wasting it on university notes?” Hence, my purchase of this little number. I also picked up something which I think is in the Paperchase 2017 Valentine’s Day collection? 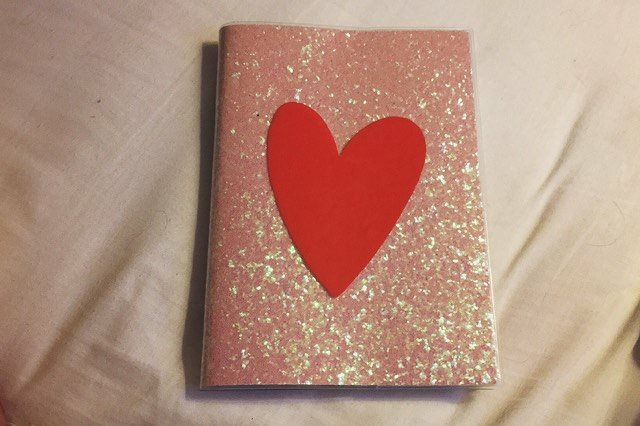 I do not know whether it was the oversized, lopsided red heart or the glittery pink casing that gave it away, but I reckon this book is definitely over-feminine, even by my standards. However it is extremely quirky and way more flexible than the previous three notebooks, as well as not being as bulky. It comes in an A5 size with lined pages also. Absolutely lush. STEP AWAY FROM THE NOTEBOOKS ELLA. I have actually bought some other things from Paperchase and there are still notebooks left in the Manchester store, don’t panic. I picked up four pens – two basic blue ballpoint pens with contemporary patterns, and two black pens –a bright pencil case (for said pens) as well as some animal-adorned sticky notes, which are definitely going to save me from highlighting every single page in my uni reading books (‘my copy of The Lovely Bones’ is literally a blur of bright yellow right now) as well as helping me to remember key quotes for May exams. NOTE: both of the black pens write like a DREAM. Both specifics are listed at the bottom of the post. 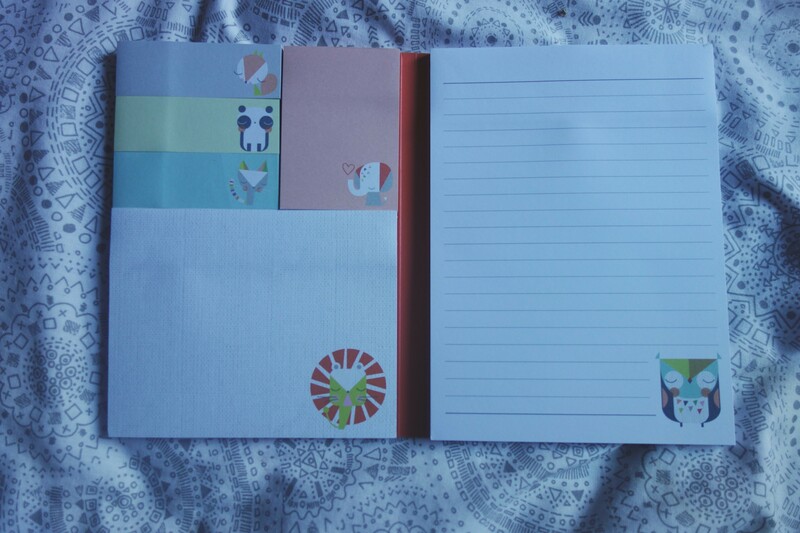 Cheekily, I also bought something stationary-wise for university which isn’t from Paperchase, but I thought I would include it here anyways. 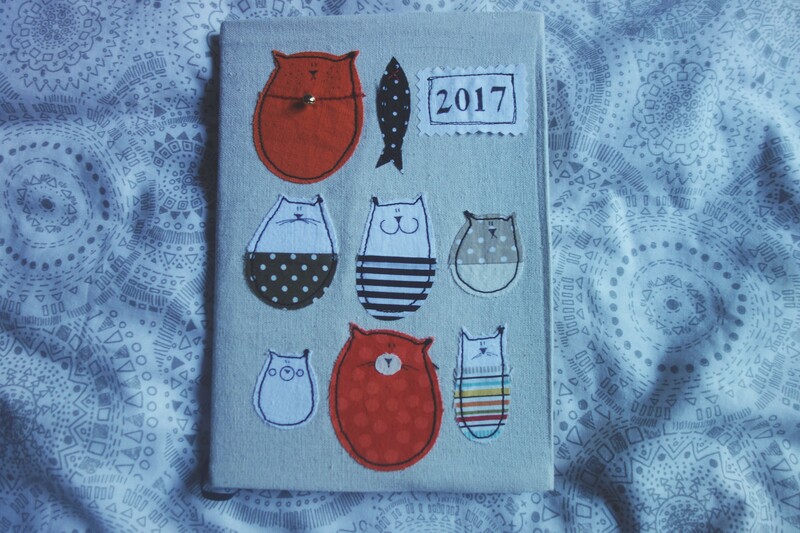 It is this brilliantly different 2017 cat diary from Etsy! As you can see, there are a series of hand-stitched cats (one with a pretend cat bell) as well as a fish on the front. The cover is in beige, a change from my other potentially-garish buys. 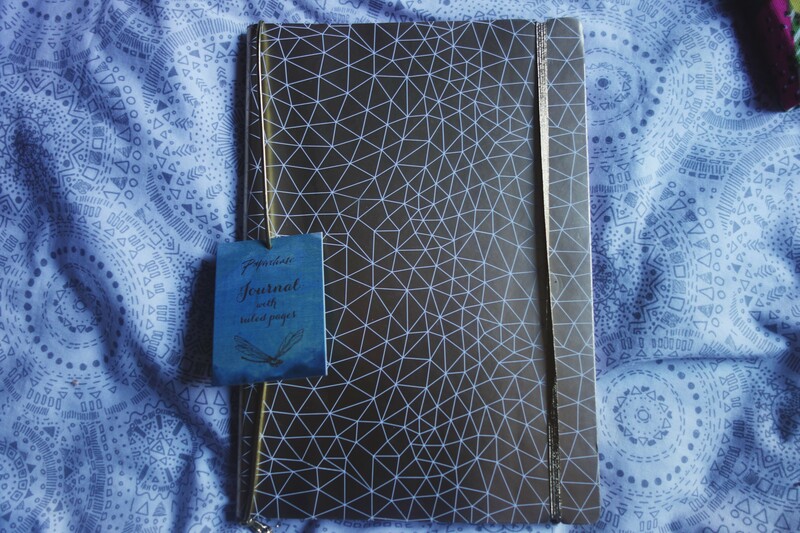 Bought from Etsy Shop Mypipsqueak, which is based in Chester, UK, I instantly fell in love with the diary and HAD to buy it! 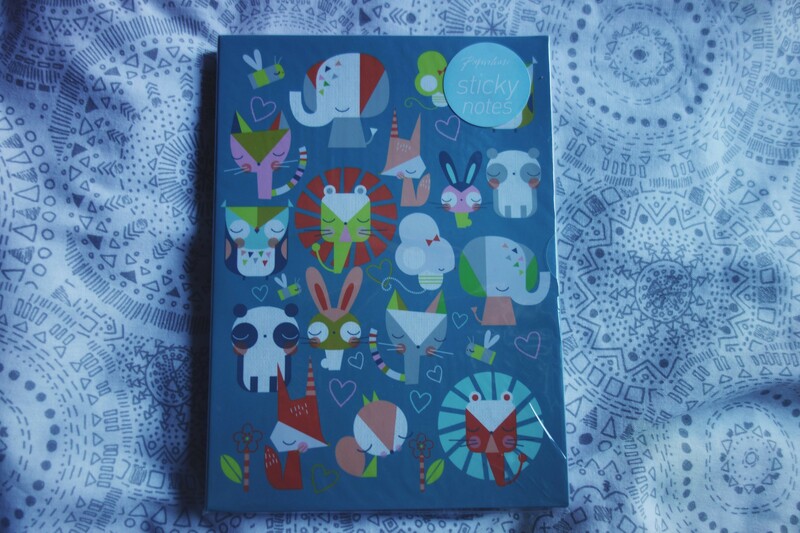 Vicky, who runs Mypipsqueak is also so lovely, and wrapped the diary up beautifully. A wonderful lady with sheer talent! Are there any purchases that I made which you need to get ASAP? 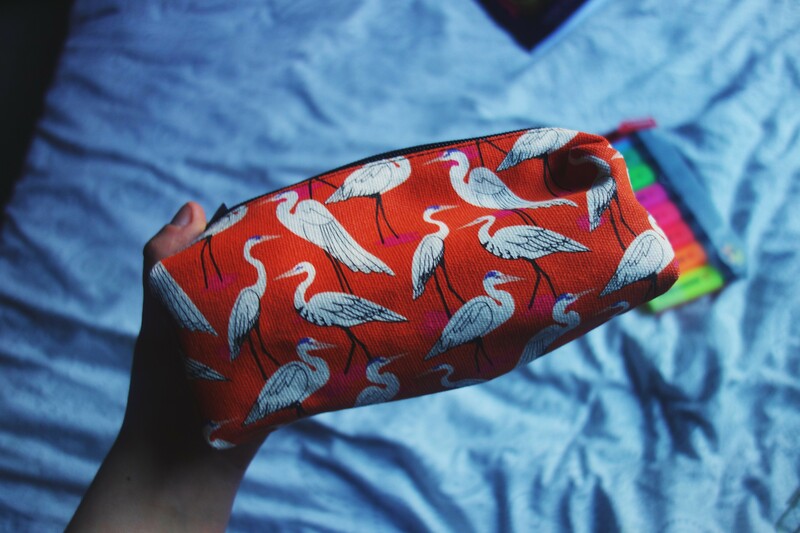 I’ve linked all of the items listed below (apart from the ones in the Paperchase sale / are no longer listed) so that you can browse to your heart’s content!